The Wonderful Things You Will Be Doll : 13.5"
Here is an ideal gifta sweet, huggable doll perfect for baby showers, new parents and babies, birthdays, and even graduates of all ages. 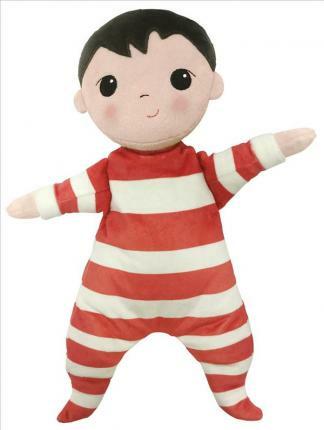 A companion to Emily Winfield Martins bestselling book, this snuggly dolls super soft, velvety plush and wide open arms will captivate and engage even the youngest child. The Wonderful Things You Will Be has spent over 85 weeks on the New York Times Bestseller List. With simple rhymes and charming illustrations, this book about the simple things that makes each child wonderful is an enduring favorite for young and old.